Before the construction of dug out canoes and pitpans, indigent people built wooden rafts to float down rivers or the sea coast. The first known raft was used by the Maya, the original settlers of this area. This was later adopted by the French Heugonots, who settled mostly in the coastal areas of Belize. IN THE BEGINING people had to find any means of transportation to travel by water and land. SO RAFTS. (Balsa in Spanish and Baliza in French) were a means for transporting heavy goods. While Pit Pans and Doreys would carry lighter loads. It is mentioned that perhaps the word "Baliza" was converted to Belize. This is just another assumption. 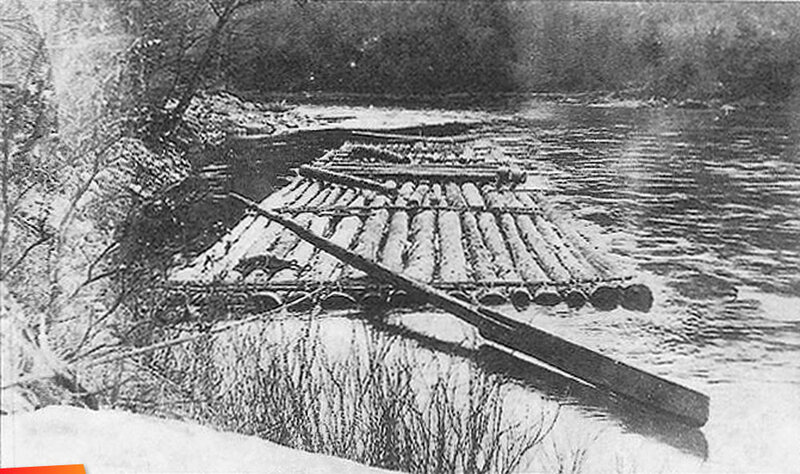 These Rafts were made with logs of Light Wood like BALSA wood. and Palo de Majawa and others.